Well it is official! 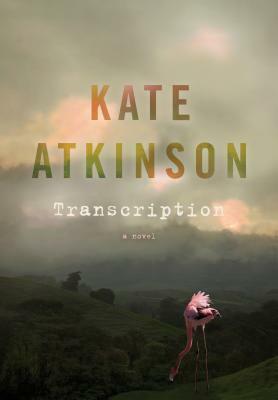 I am a Kate Atkinson fan! I now need to run out and buy all of her books. I am blown-away by the characters that she is able to create. Juliet Armstrong is one of the most read characters that I have ever read. She manages to be flawed but still likeable. She is very naive and she is all the more relatable because of that. It was interesting to see WWII from this perspective. This is story less about the war itself and more about the people who are left behind and are trying to make sense out of their new reality. There was also moments of dry and witty humour throughout the story, which was refreshing. All of these characters can be very petty, selfish, and egotistic, which makes for an interesting dynamic. There is a subplot involving a character named Perry that I will not go in to detail about because it will be a spoiler, but I really enjoyed it and found it to be interesting. I enjoyed the fact that the story is told in three timelines, so we get to see Juliet in different times during her life, both during and after the war. I will say that I found that chapters that took place during the war to be much more fast-paced and interesting, but I think that the other timelines were needed to add more context to the story. Transcription can be slow-paced, which I actually enjoy, but if you are looking for a spy novel with a lot of action this isn’t it. Juliet’s role as a spy is what she or I imagined. Thank you to Penguin Random House Canada for sending me a copy of Transcription in exchange for an honest review.